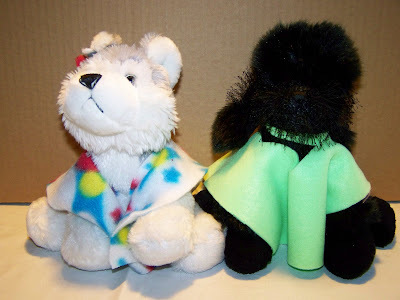 Today the kids were a little bored so we decided to make their Webkinz some clothes. 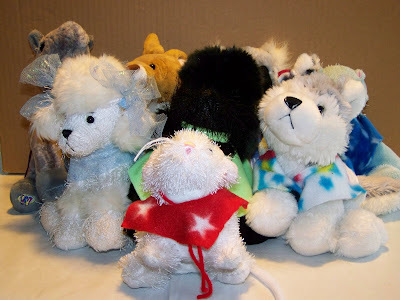 Although you can buy clothes for you webkinz it's much cheaper to make them and the kids had so much fun doing it. For the link to the ponchos that we made click here the project that we are going to work on is the banana hammock...I just have to get a couple of things for it. Thanks to Grandma Deena for all of the fun material she sent home with us last time (we were going to make Barbie furniture with it but instead it's Webkinz crafts). 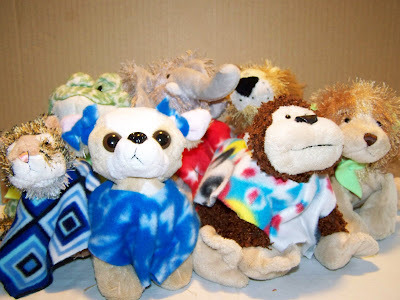 Over the next couple of weeks we will be showing our Webkinz crafts on the blog! 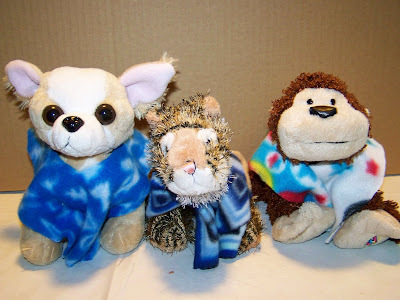 Let us know if you have any ideas for Webkinz or if your kids have made something post to your blog and then comment with the link. I would love to check it out! I was just listening to the kids playing and all of the sudden I hear Makenzie say, "Which of your Webkinz doesn't know how to flush?" Kylan says, "Oh Cookie he doesn't flush after he's done in the potty". Makenzie says, "That's so gross you really need to work with them on that. All of mine know how to use the bathroom properly." Kids say the darndest things don't they. How funny about the "non-flusher"!! Looks like you've been busy making outfits. I need to try making some for the build-a-bears since they're so expensive. We still need to try making the ice cream in a bag you posted about too.